This review will contain spoilers for all previous episodes and the current episode of Batman The Telltale Series. Here are our previous reviews for episode 1, episode 2, episode 3, and episode 4. Everything has been leading to this. Bruce Wayne discovering dark secrets about his family’s past. Vicki Vale’s hidden agenda as the Rogue’s Gallery’s newest villain. Cobbelpot’s betrayal of a childhood friend. Dent’s… well, I’m not quite sure what the hell happened with Dent. City of Light is the conclusion to the season, and after a slow first half, Batman The Telltale Series has been moving with an impetuous resolve towards the end. The biggest question throughout the series is about what Bruce Wayne will be willing to sacrifice to save his city from those that threaten to burn it to the ground? In City of Light, that question will be put to the test. The opening of episode five is different depending on if you chose to go after Penguin or Two-Face at the end of episode four. No matter which one you chose, sacrificing Bruce Wayne’s assets or Batman’s tech, the opening wraps up each of these seemingly massive decisions quite concisely. Either Dent fails to actually burn down Wayne manor (seriously, that place looked fine when Bruce went back), or Bruce takes down Cobblepot and suddenly can use his bat tech again. Neither of them have significant bearing on the rest of the episode. They both play out in similar ways, beginning with Batman taking down thugs, Commissioner Grogan getting a bullet to the gut, and Bruce Wayne confronting whichever villain remains, with a short flashback meant to show that they were once an old friend to Bruce. The last half of the episode is tracking down and confronting Lady Arkham, and regardless of your decisions up to this point, it plays out pretty much the same as any other player. The biggest difference is when you can choose to reveal yourself as Bruce Wayne to save Alfred, or simply jump in and attack her. 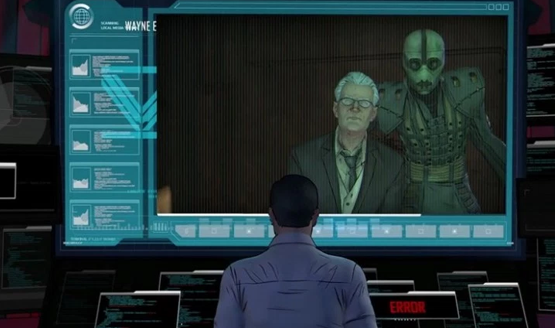 Revealing yourself as Wayne gets a chunk taken out of Bruce’s ear in the ensuing fight, and directly attacking Lady Arkham results in Alfred getting shot in the eye (not a fatal wound, just the “he’s gonna need an eye-patch” type). Either way, Lady Arkham is crushed under a pile of rubble, Bruce’s secret dies with her, and it seems like Bruce’s ear wound or Alfred’s eye wound will play into season two, though I’m not terribly hopeful they’ll have any real meaning if Telltale does continue this one on. At the end of the day it’s a hard reset. Course correction at its finest. I’ve been happy with Telltale offering more nuanced storytelling that doesn’t necessarily make huge impacts on the larger narrative (see my Wolf Among Us review). These character driven stories are intriguing and choice is intimate and palpable. The chemistry between characters and their development is respected. Batman doesn’t offer that same kind of nuance, failing to let characters grow on their own and using preconceived expectations of characters to either shock players or force plot points that don’t make sense based on nuanced decisions. If Dent is going to become Two-Face no matter what I do, his path to that character should reflect whether or not I tried to stay his friend or not. Batman just doesn’t respond to that nuance in a way that felt satisfying or real. I’m really looking for Batman from a completely different perspective — a la Gotham, which focuses on Gotham from a younger Gordon’s perspective. Where Batman fails most is trying to cram too many threads into one season, creating too many primary villains that lacked any real depth or purpose. Ironically, the way that the Joker was handled was how I would have liked to see these other villains portrayed, built progressively with character and potential for future plot shifts, but not used right away as the obvious villains. Plant the seeds of Oswald’s disdain for Bruce. Slowly set up Harvey’s twisted about-face from stand up citizen and mayoral candidate to crazed man bound by the fate of his coin. These characters peaked far too quickly and under circumstances that felt unnatural and forced for the sake of reaching extremes in the story. There’s still some engine trouble going on here, and I was assaulted with freezes, frame rate drops, and even the game freezing up my entire PS4 for about a minute before crashing. There was one scene where a character didn’t load in at all except for the teeth and eyeballs, so Batman had to ram a gurney into what amounted to the invisible man during a fight scene. Lighting issues, shadows and textures popping weirdly, and some bizarre audio issues during the final fight capped off what has been one of Telltale’s biggest technical messes in recent memory. A brief look at Twitter and YouTube show others having these same issues. The stuttering, freezing, and even the invisible patient in Arkham Asylum. City of Light isn’t a disappointing ending by itself, but it’s a ham-fisted conclusion to an unfulfilling take on an overplayed hero. Batman in the traditional sense just isn’t interesting anymore. He’s expected. And the unexpected is also expected, to the point that we’re looking for those things that will be different. We’re looking for the younger Cobblepots, the surprise villains, and the Wayne family twists. We’re expecting everything that any new Batman can throw at us, whether it’s the same or a twist. 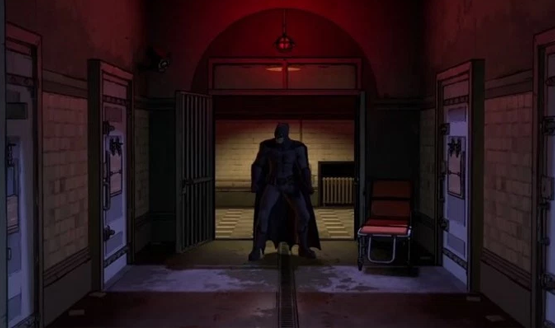 If there is a season two, there need to be some serious refinements to the structure and approach to make it work, and if Telltale doesn’t do something about their failing engine, it won’t matter what type of Batman story they try to tell next. Engine trouble may just end up leaving them stranded. Batman: The Telltale Game Series Season Pass review code provided by publisher. Reviewed on PS4. For more information on scoring please see our Review Policy.